When it comes to connecting with customers, appearances matter. No matter the industry, people love doing business with an establishment that imparts confidence and a clean style. Make your business stand out from the rest with Best Roofing Solutions. We deliver quality commercial roofing in Houston, Texas. Whether you operate a realtor or warehouse, our commercial roofing contractor is available to cover your specific needs. Contact us today for a free estimate and learn how easy it is to give your business a new roof. Commercial roofing does more than make your property more attractive. 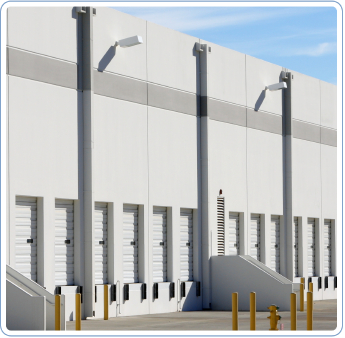 It is also a practical investment that protects your building, inventory, customers, and employees. Choose our commercial roofing company and design the roof you need. We work with you to find the roofing type, along with the colors and materials of your choice. Our services are tailored specifically to your needs, so you are able to attain a roof that fits within your schedule and budget. Work with a commercial roofing contractor you can trust. With more than 10 years of industry experience, our commercial roofing company has made a point to deliver quality services by using dependable materials. We stand by our work, so you can have a roof you can be proud of. Clients come to us due to our flexibility and ability to ascertain the correct solutions to your particular situation. Simply put, our roofers have the knowledge and skill to deliver lasting results. When your roof is installed correctly, it will protect your property for years. Choose a commercial roofing company that invests in your future. When you work with us, we tailor our services according to the needs of your business, as well as your personal design goals. As a result, you gain a beautiful roof that not only reflects you, but also your business. Make a lasting impression and show that your business is there for your customers. Your property is valuable. For this reason, you deserve to work with a commercial roofer who respects your investments. Our company is committed to craftsmanship, so you can have confidence knowing that professional technicians are always working on your project. Contact us to schedule our commercial roofing services. Contact us today to request our commercial roofing services. We proudly serve business owners in Houston, Texas.